Georgia Giant Wellington Pull-On Work Boot | BUDK.com - Knives & Swords At The Lowest Prices! When you have a job to do, your choice of footwear cannot stand in your way! You need to wear the best to perform the best. 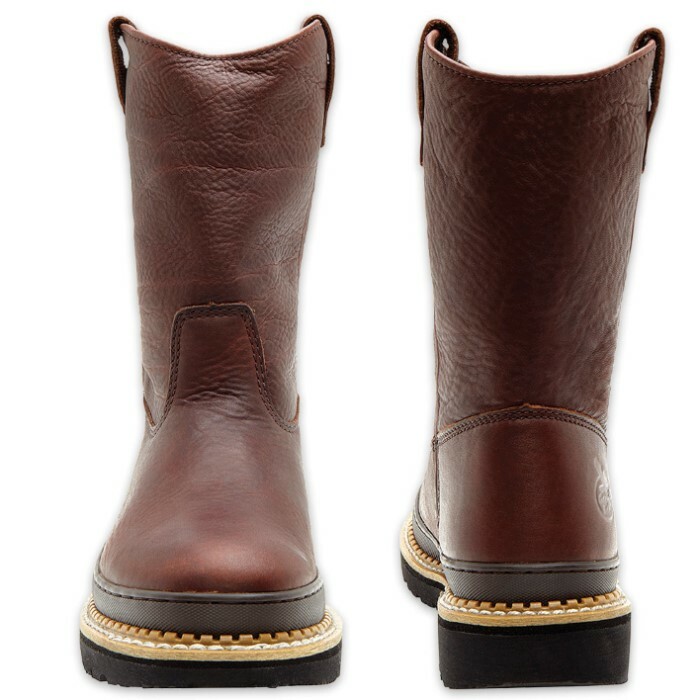 The Georgia Giant Wellington Pull-On Work Boot, designed and built by the world leader in active footwear, is both comfortable and sturdy. It was built with full-grain leather in a soggy brown color for a rugged look and has a rubber outsole for slip resistance in wet situations. 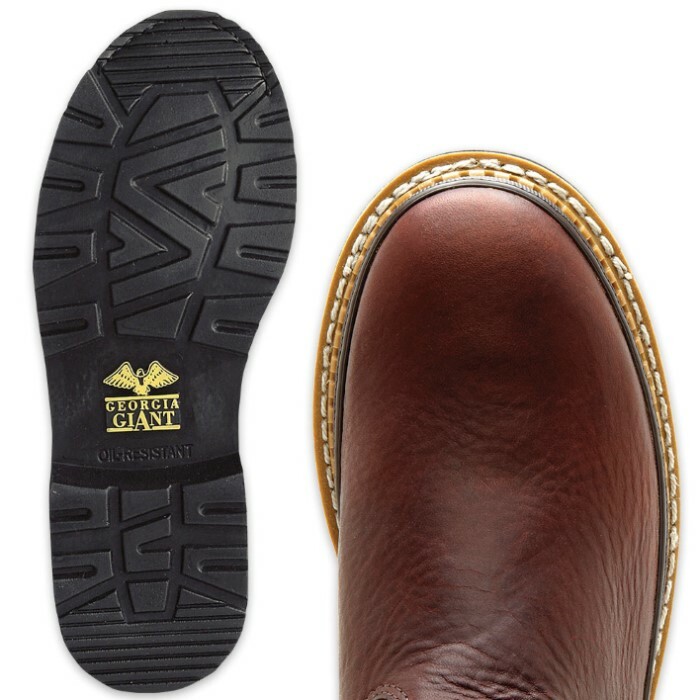 The Goodyear welt construction enhances the boot’s overall durability and strength. The boot has an EVA midsole and a covered, cushioned insole that will ease the weight you put down onto your foot. 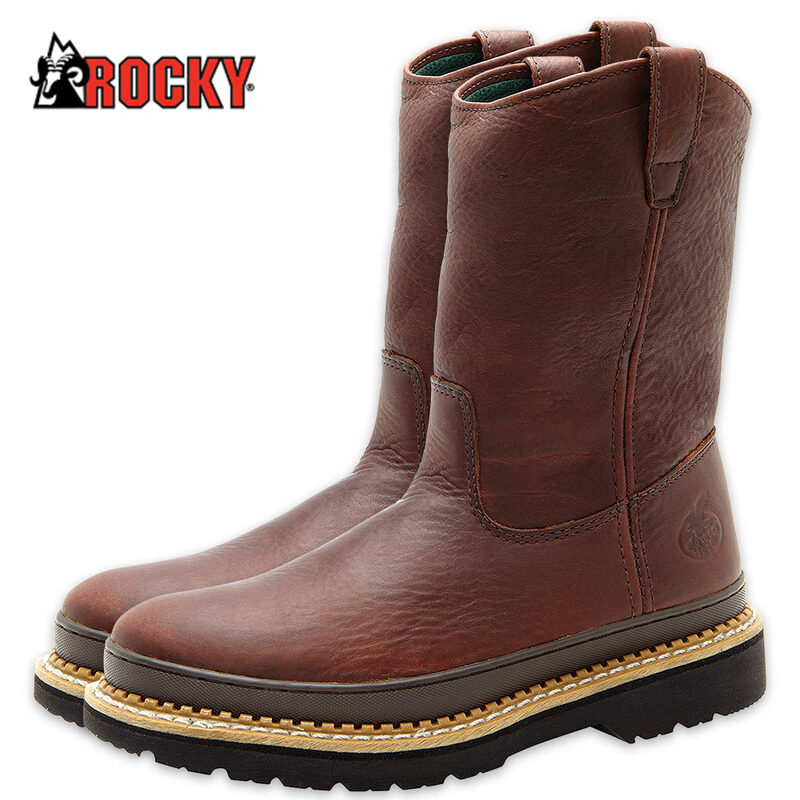 Since comfort is the key, this boot has an internal padded collar to keep your ankle comfortable, a high performance lining to keep your foot at a stable temperature, and a steel shank for arch support. In addition, the pull on boot has unlined quarters for flexibility in movement, and an oil resistant bumper guard to keep from tracking oil everywhere. It comes in sizes 8, 9, 10, 11 and 12.